Pink Floyd album may be due for October? For anyone like myself who were simply not fortunate enough to have attended Steve Hackett’s Albert Hall performance of his Juggernaut Genesis Revisited tour, here is a chance to watch it in the comfort of your own home. I was lucky enough to see two of these concerts, one on the initial tour and one on the extended tour at Newcastle City Hall which itself was something rather special. The DVD under scrutiny here is just that although a Blu-ray option will be available. It is plain to see from the outset that a great deal of attention has been taken to capture as much of the concert as possible by using multiple camera angles and operators. Much of this concert is how i remembered the performances in the provinces albeit more prestigious. The DVD doesn’t dilly dally around when you press play, it’s straight into the gig without a moment to loose. Listening first in stereo Dance On A Volcano hits you right between the eyes, Nad Sylvan’s vocals faithfully reproducing this great post Gabriel classic with aplomb. Indeed Nad’s performance throughout was exemplary and without a hint of mimicry instead sounding simply alike to the original singers whilst firmly putting his own stamp on things. A great piece to begin with and a challenge to every member of the band. Whilst Steve himself is a legendary guitarist interacting with the audience seems to leave him perplexed. Something alas he is not famous for. However, i have to admire him for his attempts and this is a great document to the real Steve Hackett who remains to this day one of the most genuine people in the music business. Following Steve’s awkward intro the band perform one of the best renditions of Dancing With The Moonlit Knight i have ever heard without Peter Gabriel singing. Roger King’s keyboard sounds were not only authentic they were note perfect. Rear projection is second to none and it is worth owning the DVD just to watch the gig over and over again to capture what you miss of them whilst you are mesmerized by the band. Fly On A Windshield finds drummer Gary O’Toole on vocal duties as well as doing what he does best, knocking hell out of the skins. I must admit to wishing Nad had sung this powerful song instead but hey, that’s just my personal preference. Following another of Steve’s introductions a special guest is brought to the stage in the form of Ray Wilson who along with Nad Sylvan made a tremendous job of Carpet Crawlers. Great harmony and a great atmosphere captured for all to see. As Ray left the stage yet another special guest is announced this time the king of flowers Roine Stolt who played some great wha wha guitar and sported a rather dapper blazer throughout The Return Of The Giant Hogweed. The cartoon creation for this presentation was impeccable and i wished the cameras had caught more of it. However, i have no doubt that the production team got it right and a good balance was struck. Awestruck by the special appearances it would have been easy to forget just how good Steve Hackett’s touring band is. The Musical Box put this to rights with some great camera work showing just how adept they are. Lee Pomeroy simply shined throughout this song his versatility, dexterity and ability beautifully captured and for the most part in true Genesis tradition all done in the seated position. Following a great crescendo the acoustic guitar came out and Steve does what he does best incorporating the now standard Horizons into a haunting intro into a Wind And Wuthering fest in the shape of Silent Slumber For The Sleepers, In That Quiet Earth and of course Afterglow. It is here that Rob Townsend really does lend a great sound to these classic songs trading in synthesiser for his soprano saxophone giving a keener edge to the sound. Afterglow is a hard act to follow in my opinion and for the second time of the evening Ray Wilson returns to the stage to help out with my least favorite Genesis song I Know What I Like In Your Wardrobe. With it’s many meanderings and improvisations it still does nothing for me and with Mr Wilson’s assistance can be best described as interesting. I may however being failing to see the fun element in all of this good as it may be to the masses. Following the lighthearted feel of this performance John Wetton’s inclusion to the proceedings put things well back on track with a version of Firth Of Fifth that is worthy of the standing ovation that it got. Steve’s heartfelt introduction of John Wetton left no one in any doubt about the respect they have for each other and the band as a whole did this classic proud. Bringing the pace down a little was the very lovely Amanda Lehmann who along with Steve performed Ripples whilst the band had a well earned toilet break. Amanda lends a Marianne Faithful pastiche to this song which i find enchanting and it’s a shear joy to watch. On the bands return they performed what to me was the highlight of the whole gig. After Steve’s best intro of the night They played The Fountain Of Salmasis. This song alone is worth the price of the DVD. As Steve so eloquently puts in his his introduction this would have been a song that Genesis would have found very difficult to play live. With the aid of modern technology and a pretty sharp touring band this is carved into something very special. Only one classic Genesis opus would really have fitted the bill to complete such a show and that is of course Suppers Ready in all it’s glory. Each section is so well performed it can bring a tear to the eye. At no time is there a need to replicate the various costume changes or fain originality but truly celebrate the essence of school boy youth and something frozen in time that represents a certain musical heritage. It was good to see the cameras capturing an exhausted Nad Sylvan crouching on the steps at the rear of the podium from whence he had descended during the climax of this “King Of Kings” Genesis standard. Roger King’s keyboards rang out above all else betraying his icy calm almost mysteron-like. Such a performance would simply not be allowed to pass by without an encore and Watcher Of The Skies did quite nicely. Nad Sylvan’s scanning the sky with his telescope putting a new slope on things whilst Roger King’s superb Mellotron patches whipped the crowd to a frenzy. Not content with that the band rounded off the evening with Los Endos which included a hint of Steve’s Defector album to serve as a reminder that he made some amazing music following his career with Genesis. All in all an absolute bargain. 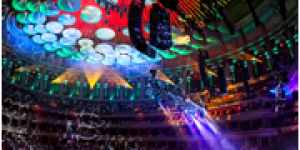 Eighteen Genesis classics performed superbly at one of the most prestigious venues in the world caught on film. It really is a must have for all Genesis/Steve Hackett fans. It’s a great visual document for all the people who attended to remind them of a very special evening and for those who couldn’t make it. Switching to the 4.1 surround sound mix brought about a feeling of reality. 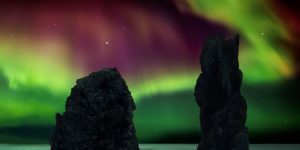 It majors on subtlety and concentrates on audience sounds and applause rather than splitting instrumental sounds into various channels like you would expect from a Steven Wilson production. In fact it seems to take a little time for the surround sound to actually kick in as it were. Songs that seem to benefit most from the surround mix are The Fountain Of Salmacis which makes the Mellotron sound amazing and Suppers Ready. 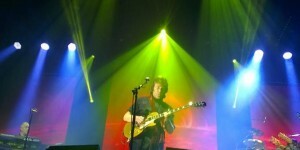 Sound quality itself whether stereo or 4.1 is first class and stays true to Steve Hackett’s concert sound. I did experience some picture break up with some blue light effects. However this was very minor and likely to be the fact that my review copy is a demo, this is unlikely to occur with the real i am and did in no way detract from my enjoyment of the DVD. It does make me think that th blue-ray will be worth investing in though. The DVD is available in two packages in the form of a two DVD + two CD and the one pictured below that includes the Blue-ray disc. The limited Artbook edition features the whole of the sold out show from London’s legendary Royal Albert Hall in October 2013 on both DVD and BluRay (Region A/B/C; effectively region free and should play anywhere) plus an additional DVD of exclusive interviews and behind the scenes footage plus all the music on 2 CDs. The 5 discs are presented in a beautiful LP sized hardback artbook packed with photos & notes. Of the two i know which one i will be going for. The above items will be in the stores from June 30th 2014 and available from www.hackettsongs.com web shop and www.insideoutmusic.com Prices may vary. Thanks to Brendan Eyre for his assessment of the surround mix. 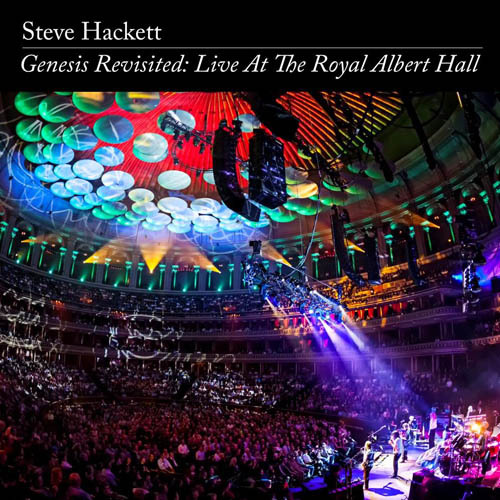 New Hackett DVD | Genesis Revisited royal albert!